We hope everyone had a great holiday season and many thanks to all of you who shopped with us and brought us baked goods. We greatly appreciate all of you. During the holidays we get so busy running the store our weekly blog takes a vacation. Many of you give us favorable feedback on our blogs, which is nice to hear, but if there is a subject you think we should touch on please let us know. So far this has been a fairly uninteresting winter for bird feeding enthusiasts. 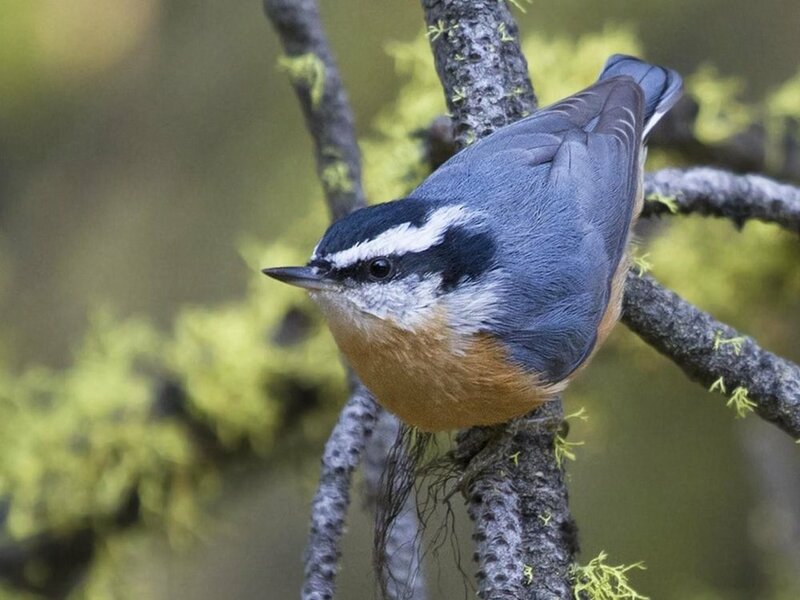 Although people have seen Red-breasted Nuthatches at feeders sightings have slowed. If you live where there is a presence of pine or cedar trees keep a close eye on your feeders this cold weekend. Red-breasted Nuthatches show a preference for areas with pine and/or cedar. Since I have no pine trees I recently ventured out to Montgomery Bell State Park and only had to step out of my truck in the visitor parking area to see a group of 5 or 6 in the cedar tree I had parked near. By the way if you really want to see Red-headed Woodpeckers you will see them at Montgomery Bell. They, too, seem to prefer open areas adjacent to forest along with lots of pine trees. I enjoy golfing and birding at MB and marvel at the great numbers of “Red-heads “present. With the fluctuations in temperature come fluctuations in feeder consistency. On warm days, anything in the 50’s or more, insects become active and your feeder birds may gravitate to the sudden availability of protein. Birds do not live on seed and suet alone and never will. Customers sometimes make the comment “the birds must be confused”. Not likely. They simply adapt to changing weather patterns and take advantage of whatever food sources become available. Although, on Tuesday when it reached nearly 70 degrees I heard some birds singing which is usually reserved for spring and summer. So maybe they are a little confused, or perhaps eager. Some notable sightings around Nashville include numerous reports of Sandhill Crane flocks flying over, a Bald Eagle regularly seen around Hillwood Golf Course, and a Snow Goose at Radnor Lake. 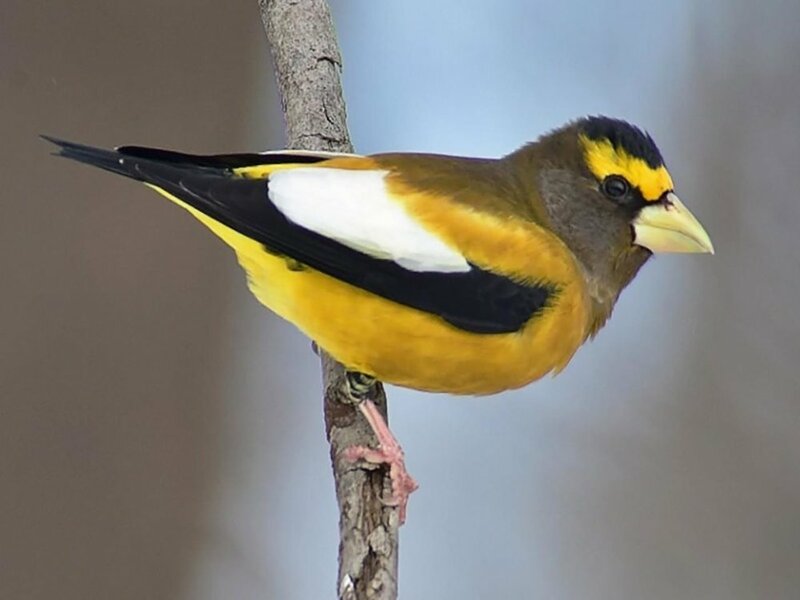 One sighting of an Evening Grosbeak in east TN got me a bit excited because it’s been 30 years since notable numbers of them have been seen in this area. And they like to visit bird feeders. But more sightings were not reported and the chance to see them here fizzled.